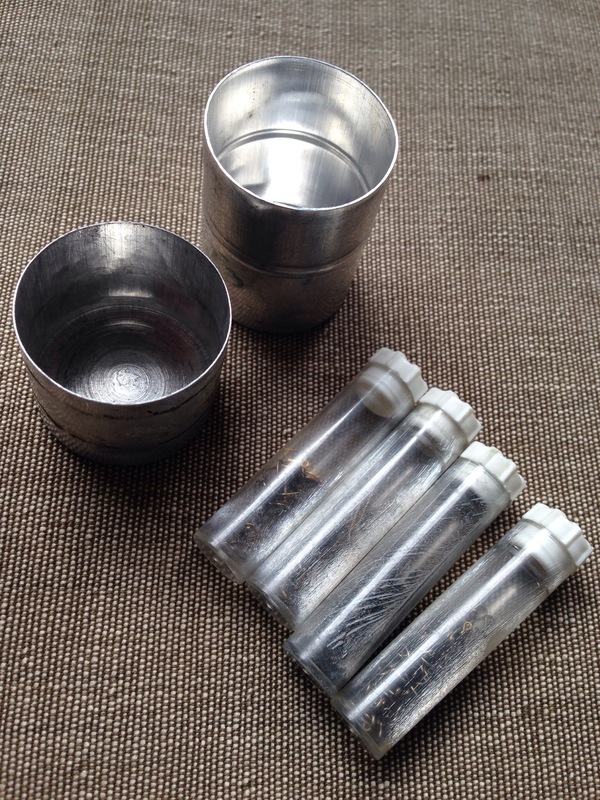 As the brown Jiffy bag landed on the floor I knew exactly what it contained, three lures and an aluminium container that held within it four small screw top acrylic tubes each containing different terminal tackle, small trebles, swivels, fly connectors and an assortment of hooks. With only a couple of days left before young Tales breaks up for his summer holidays thoughts now turn as to how to entertain him. Kicking a football in the park, playing tennis, swimming, karting, cycling along the river, camping and fishing, but with nearly five and a half weeks of holiday ahead of us I’m already exhausted at the thought. We have planned a trip to the coast next week to fish for bass and bream so I have been adding to the range of surface lures we have for bass and purchasing some well made bream traces, all very important when planning an expedition to the East Sussex Coast. 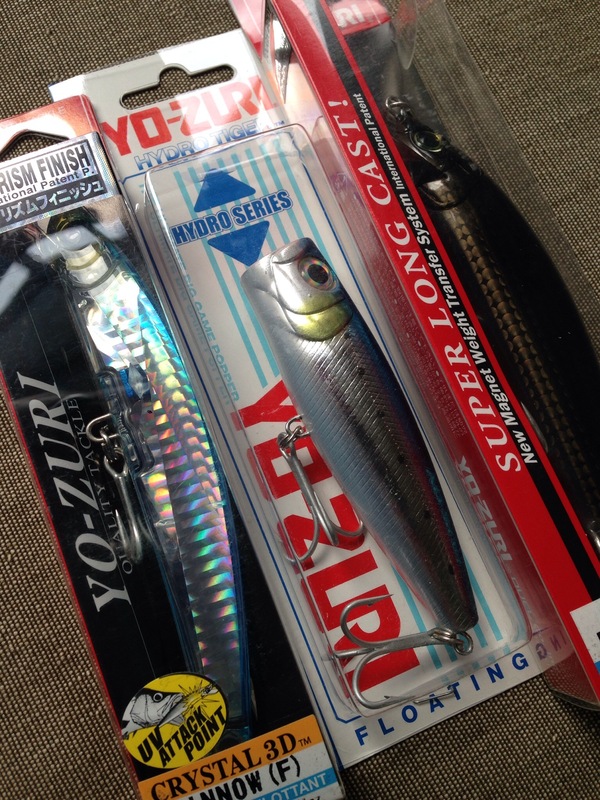 I found some Yo-Zuri lures on line that were keenly priced, in fact I got three for a little more than the normal RRP for one. The selection offered also caught my eye so hopefully they will do the same for a scavenging bass. Earlier in the year a fishing trip to Brighton Marina ended rather abruptly when the tip of young Tales’s Ron Thompson Tyran spinning rod snapped when casting a 20gms Savage Gear sand eel. The rod was more than capable of casting this weight but something caused a 40mm section of the tip to break clean off. My suspicion was that braid line had possibly wrapped over the top eye and the unforgiving nature of the braid when being cast put too much pressure on the tip. The Ron Thompson Tyran rods are well made and elegant, however the very fine tips to the blanks are so fine they will not withstand much abuse. Having purchased the rod from Farlows of Pall Mall there was a no quibble exchange for a replacement rod, and with experience on our side we decided to increase the length and casting weight if casting 15-30gms lures for bass was going to be required. There will be a trip to the Lizard in Cornwall in August, last year we purchased a great value Rovex spinning rod which is possibly better suited to young Tales than the more delicate Ron Thompson which had been my choice for working small sand eels in the gullies of the rock of the South Cornwall coastline around Falmouth. I think we are pretty well set up for most fishing conditions for the summer so hopefully it will be a memorable summer for young Tales.